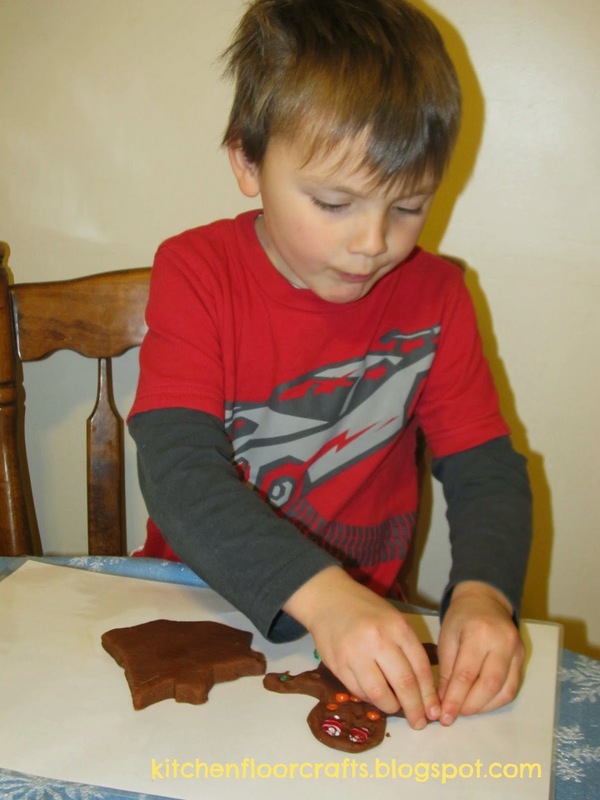 There is something so magical and fun about gingerbread houses, and the boys are looking forward to decorating a real one with their Pamma later this week. But until then we've started playing with gingerbread houses in other ways and reading several gingerbread books. One of our favorite books which includes a gingerbread house is Gingerbread Baby by Jan Brett. This spin on the classic tale tells the story of a little gingerbread baby who runs away from everyone. But instead of being eaten by the fox at the end, the little boy who made him also makes him a beautiful gingerbread house to live in. 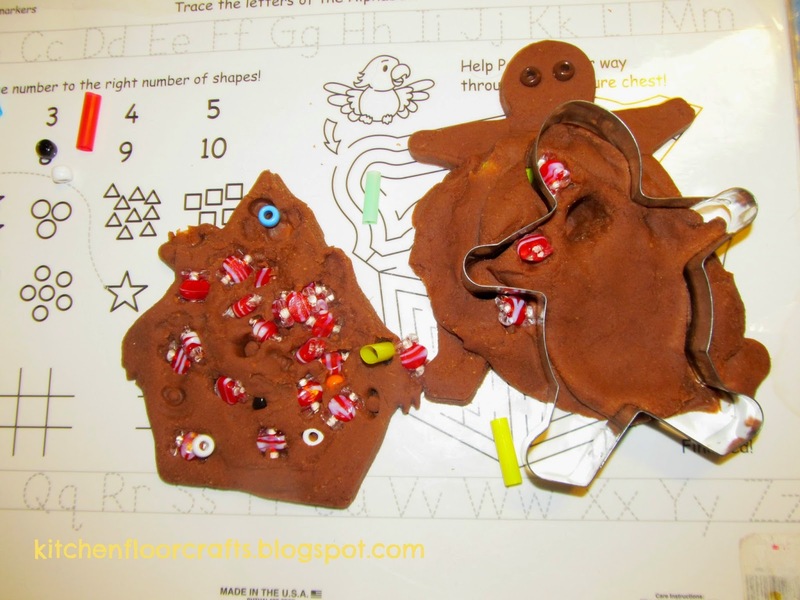 We've been rereading the book over the last few weeks and it inspired our Gingerbread Baby Playdough. To begin with, we tweaked our basic playdough recipe to make it smell like gingerbread by adding some yummy smelling spices. We like to make a cooked playdough. so the directions below should be done by an adult as they involve using the stove. 1. Combine the dry ingredients in a large pot and mix with a whisk. Then add the wet ingredients and stir with a large spoon. 2. Cook over low heat, stirring constantly until a ball forms. 3. Knead the ball of dough gently for a few minutes. Set aside and let cool. 4. Store in a covered container or plastic bag. Our end result definitely smelled like gingerbread, I showed Little Brother how good it smelled and he kept sniffing it when we were playing! 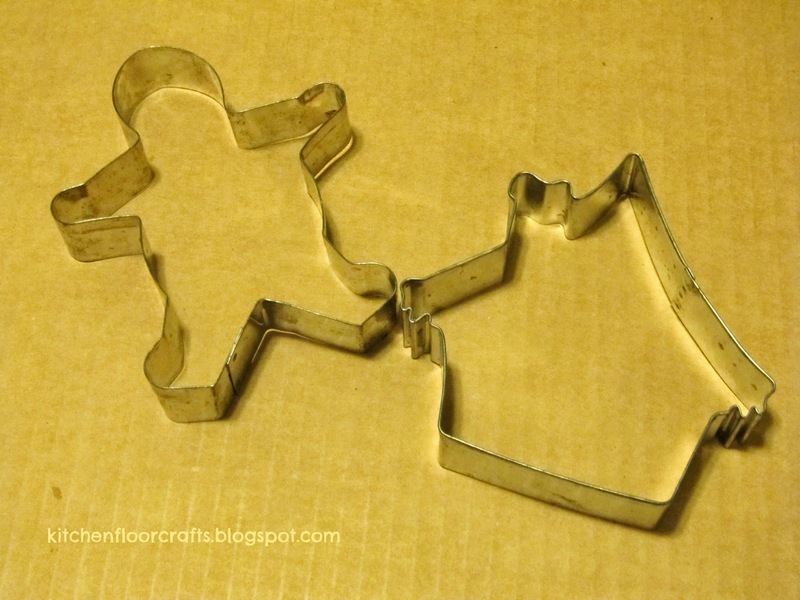 Because the story involves both the gingerbread baby and a gingerbread house we decided to use both a gingerbread man and a gingerbread house cookie cutter for our play. I helped each of the boys create one of each shape out of playdough, and then they went to town decorating. 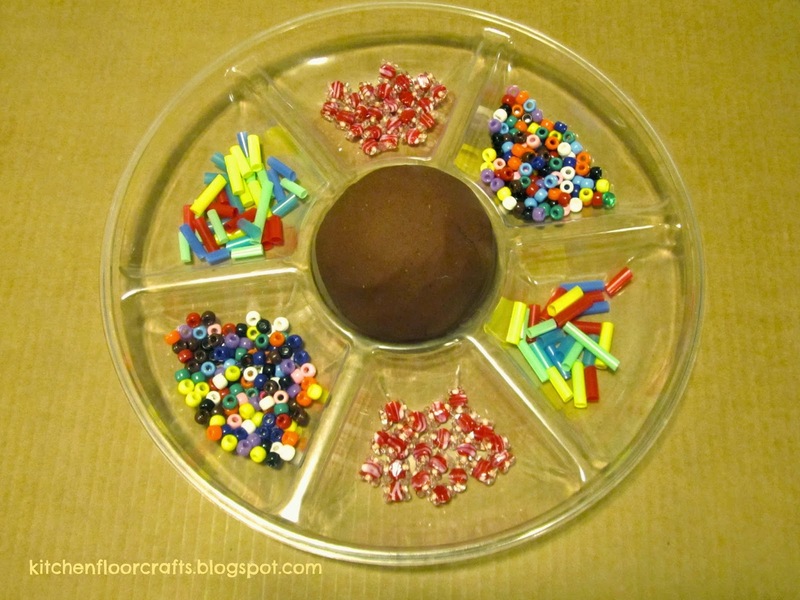 Little Brother quickly took as many beads as he could and pressed them into his dough shapes. Big Brother worked a little more purposefully at creating patterns and designs on his pieces. Their final pieces looked very different from each other. We've had a lot of fun using this dough this week and we love how festive it smells. We also read the book a few more times, enjoying this fun tale and the amazing illustrations. 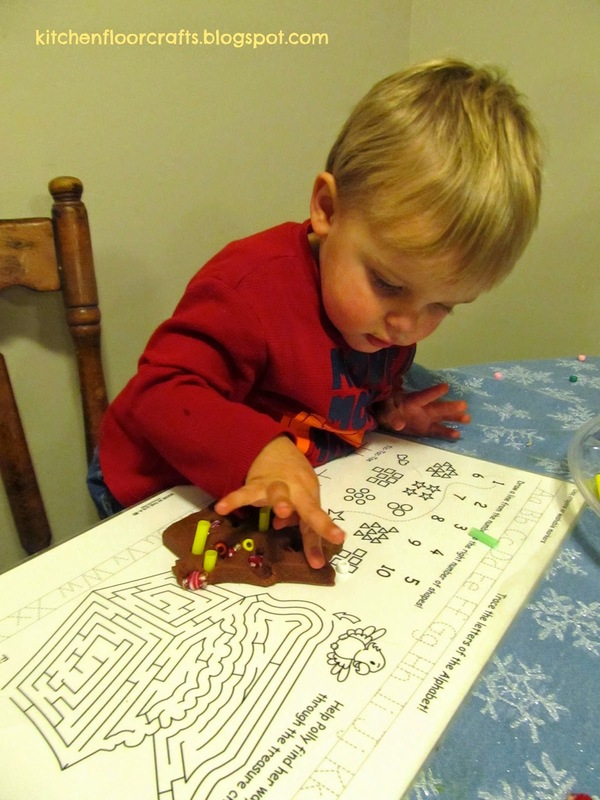 The Imagination Tree has an easy, no cook gingerbread playdough recipe. 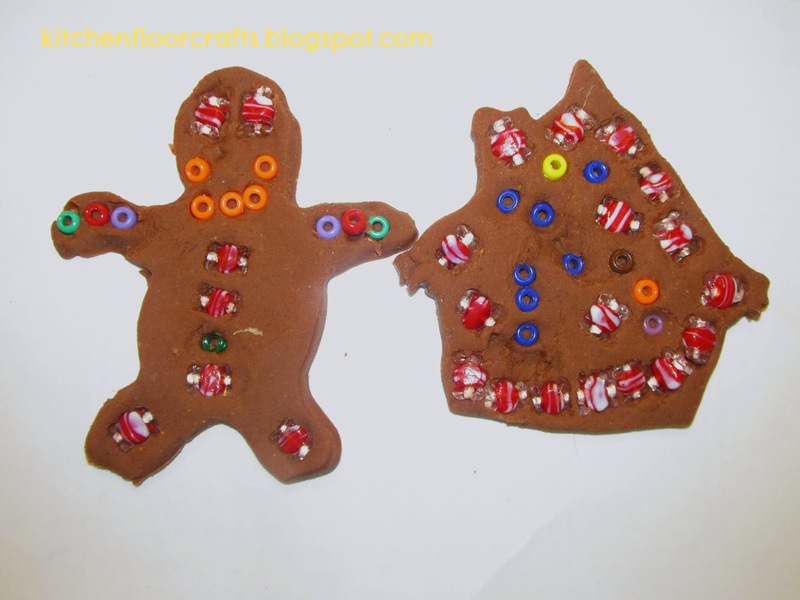 The Kids Activities Blog added cocoa instead of food coloring and used googly eyes, buttons, and other beads in their gingerbread playdough play. 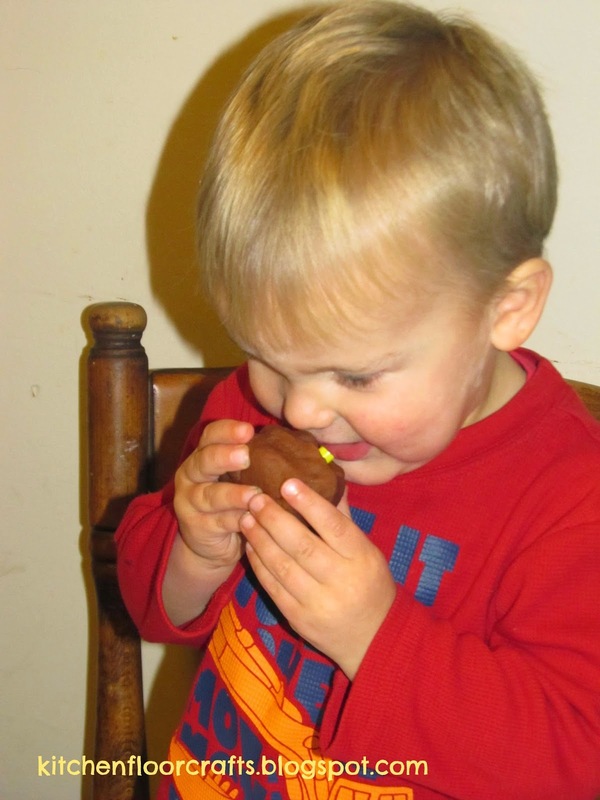 The Pleasantest Thing used molasses in their gingerbread playdough. Little Bins for Little hands set out natural ingredients to decorate their gingerbread playdough men. Teach Preschool added the spices a little later so the kiddos could mix the spices in themselves. 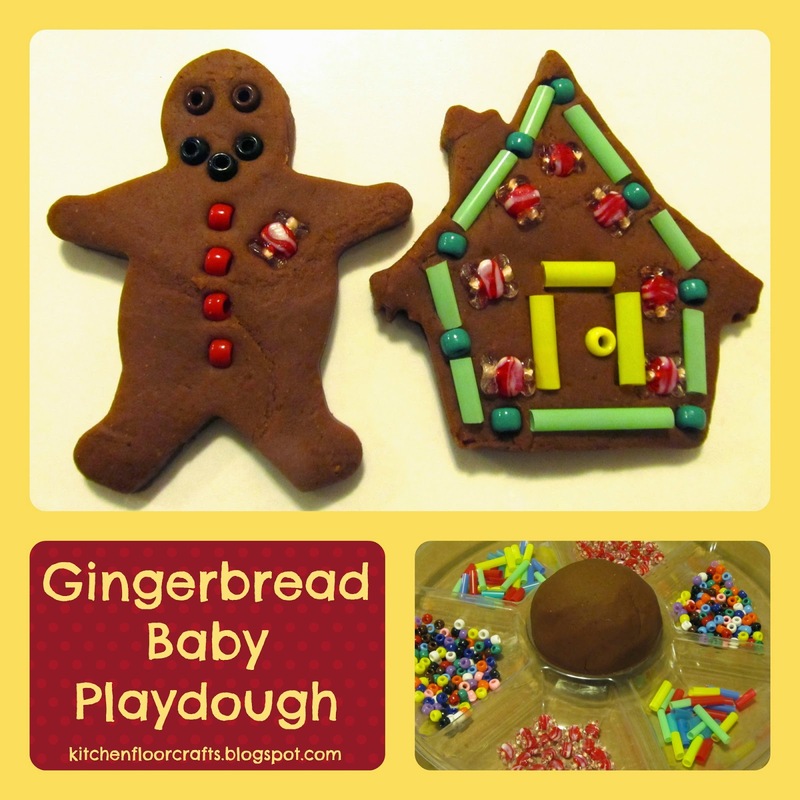 However you decide to do it, enjoy the sweet smells of gingerbread playdough play! I just made cinnamon ornaments and had to buy some spices like the ones you listed here so now I have something else to do with them! !